The Hussars have enjoyed the use of a number of servers over the years and since the inception of HGG have preferred servers that can be switched between some of the games we enjoy playing. Currently we have a Rackage server (Rackage Servers) that can be switched between a number of games but generally runs Battlefield 3. We don’t currently have an Battlefield 4 server and paradrop into other servers as a group when we play this. We also sometimes use other servers including those hosted by our community friends; =7DR= (BFBC2, RaceOn and Race 07) and =XDC= (BFBC2). DO NOT USE CHEATS OR HACKS : This includes use of any software designed to circumvent normal game rules, e.g. no-fog, wall or speed hacks or aim bots. If you are behaving suspiciously you will be kicked or banned. – Spawn-camping (see below for our definition of spawn-camping). DO NOT USE ABUSIVE LANGUAGE : A single warning will be issued then the offending player will be kicked. Players should not return fire to team-mates even if they are being attacked, because if the admins cannot telll who initiated the attacks they will kick both players. DO NOT SPAWN-CAMP : We do not tolerate any form of spawn-camping on our servers as we feel this tactic destroys the enjoyment of the players who are on the receiving end of it and is based upon a limitation of the game spawn mechanics. We define Spawn-camping as attacking (including use of indirect attacks such as artillery) into a non-capturable base, or deliberately staying out of the capture range of a capturable one, to kill people as they spawn. Do not go into uncapturable bases to attack unless you are specifically targeting someone attacking out of that base or attacking a destroyable asset or objective within it. Even if you enter an enemy base for a valid reason (attacking enemy assets, stealing vehicles or attacking someone shooting out of the base), you will be warned to leave or be kicked if you hang around there or start shooting enemy players as they spawn. DO NOT IGNORE ADMIN REQUESTS: If any admin (via the server chat) or clan member (via the in-game chat) makes a request, please do not ignore it. This is generally to observe normal server rules, or specific ad-hoc rules due to low player numbers. DO NOT IMPERSONATE ADMINS or CLAN MEMBERS: We know who our admins and members are and if you start pretending you are one when you aren’t you will be banned with no warning. 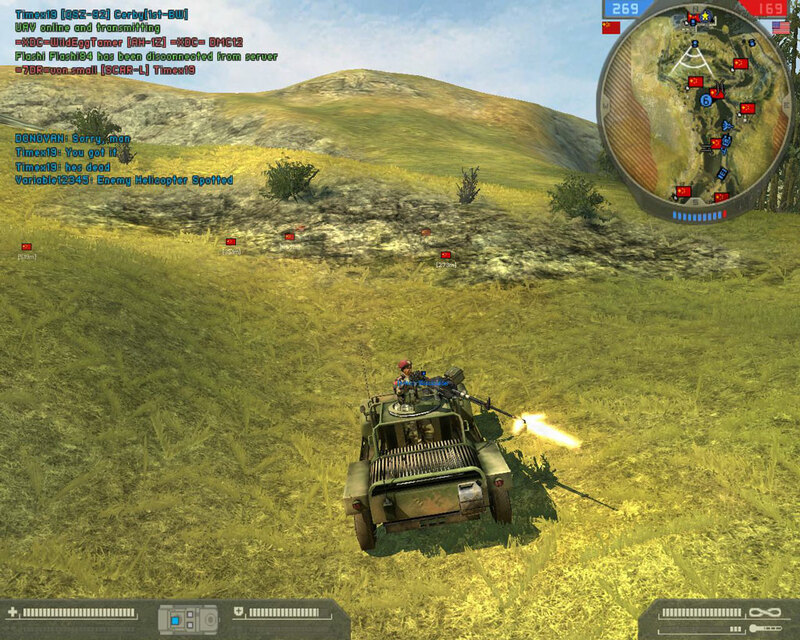 Admins normally warn players before kicking or banning them unless they are clearly cheating or team-killing, to enable them to comply with the server rules. We reserve the right to kick players if idle or to free up player slots for clan members. If our TS server is down, we can gather on the 7DR one. Check our forum for details.